Do you love cooking? Do you love decorating your cake? 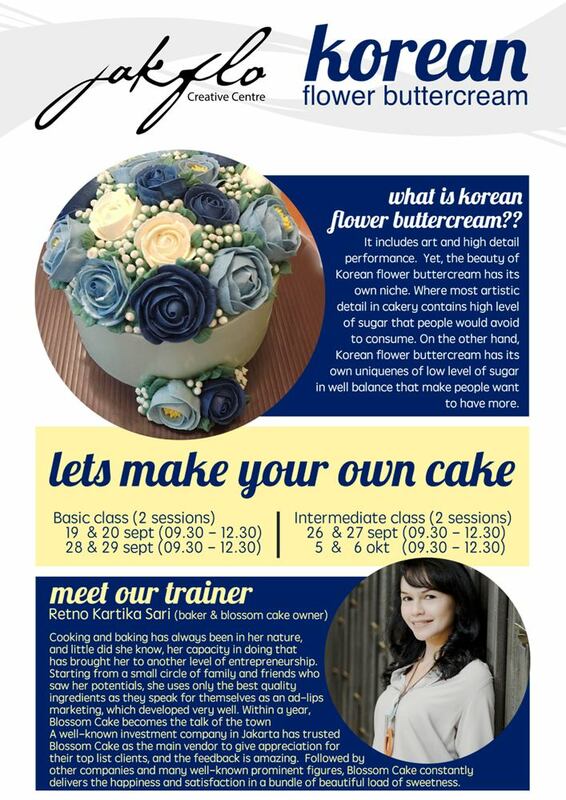 Make an investment in ‘Korean Flower Butter cream’ class and you won’t regret it. You will be taught proper steps to mix colour with high quality buttercream and creating different flower blooms in a very interesting way. The trainer is a professional baker and a cake business owner who is certified in Korean Flower Buttercream skill. We only use premium quality of materials and tools, which student will bring home to do more practice at home. Starting to decorate your own cake and impressed your family & friends with your new skills.